Optimus Prime and Ultra Magnus have been out of communications for too long. A group of Autobots set out on a path to find and rescue their friends from whatever corruption and evil seems to have cursed New Quintessa! 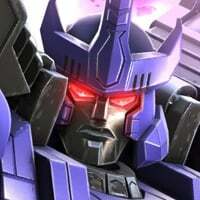 The darkness of Megatronus seems to be spreading and this ancient Prime’s influence is changing more than alliances! Will the Autobots be able to find their compatriots and fight back the rising tide of evil? Or will they be lost on the journey as well? Shoutout to @IvanTy for posting this GIF in July. I've saved it for this. The mission commences at 10am Pacific Time on October 4th! Beware Commanders! Megatronus is unlike any Bot that you've faced before! The power of this ancient one is not to be taken lightly! The Relics in the Store will not change this month! So hold on to those tickets if you're still waiting to see what's new! For this month only, rewards have been updated in Expert and Master Difficulty. We've added T4 Basic Spark Essence to the Completion and Mastery rewards for Expert, and have bumped up the T3 Class Spark Crystal Shards and T4 Basic Spark Essence, and introduced T3 Alpha Spark Essence to rewards available in Master! A full t3 class spark for fully exploring expert how difficult is Megatronus going to be? Is the ultimate crystal awarded for mastering expert something new? Does it guarantee at 4* bot with a chance at a 5* (fingers crossed)? Megatronus was bad enough to deal with in the last Spotlight Mission. Those of who confronted him in last month’s Spotlight Mission knew he was trouble. I doubt Kabam has made him any easier to deal with this month. 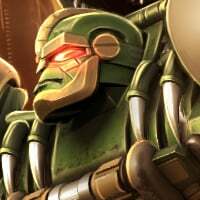 At least we know who can sort of match up with him (Rhinox/Shockwave at full 4* power/significantly upgraded 5*... and maybe Bonecrusher can inflict significant bleed damage) and who can’t (pretty much everyone else). I wonder if they’ll make some shock immune mod on Megatronus like they did the bleed immune for the scout bosses after the whole Bonecrusher-Kickback thing. This month only meaning October, the month of Megatronus. After that the rewards will go back to the same as before. But, what if Megatronous fights Megatronous? Interesting. Since the two of them will probably trigger their sig at exactly the same time, I dunno who will be 'obedient'. It'll be an interesting experiment once I get him. Unless they put Megatronous on a Power Gaining Mod in this Spotlight mission (that would be torture). I hope they didn't be cheesy this time and give Megatronus unblockable again. 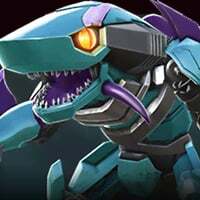 No sense in claiming Shockwave is a weak matchup if Shockwave can't even block to get his charges. I seem to see a lack of Warpath and an abundance of my tears and disappointment. So they expect to roll rewards backwards and not have the populous whine, request more of the same return as this offer up, or hold thier motivation to play for less again next spotlight? Makes sense. Maybe they’ll beef up AM rewards. I only wish that they make obtaining a 5* megatronus easier. And what about act 4? 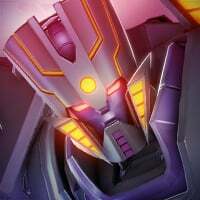 Is megatronus going to be the final boss? I'm hoping what they mean is, this is just a sort of hotfix, and next month's will be completely reworked to be better than September's, from Easy up to Master. I'd love to play this wonderful spotlight mission, but no dice. "The Game is Down for Emergency Maintenance"
This mission title is accurate, there will be grave consequences if warpath isn't in this game, one of them being the guilt of knowing that you're the reason I cry myself to sleep every night. So far the only "Grave Consequences" are the servers crashing and player base leaving en-mass. Well, Megatronous is a servent of Unicorn actually.